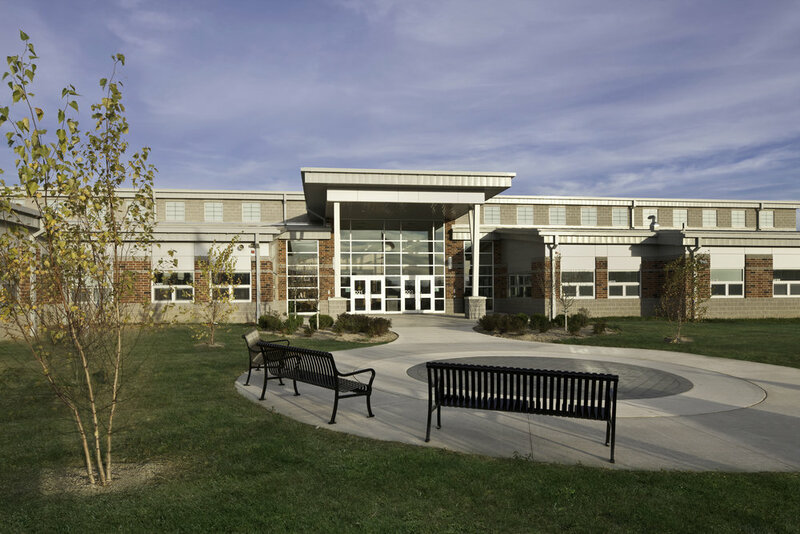 This new LEED Silver two-story facility is located on the same site as the existing HS/MS, which remained occupied during the construction of the new building. The design for over 1,700 total students features virtually complete separation of the HS/MS from the elementary; only sharing the food service/kitchen area. 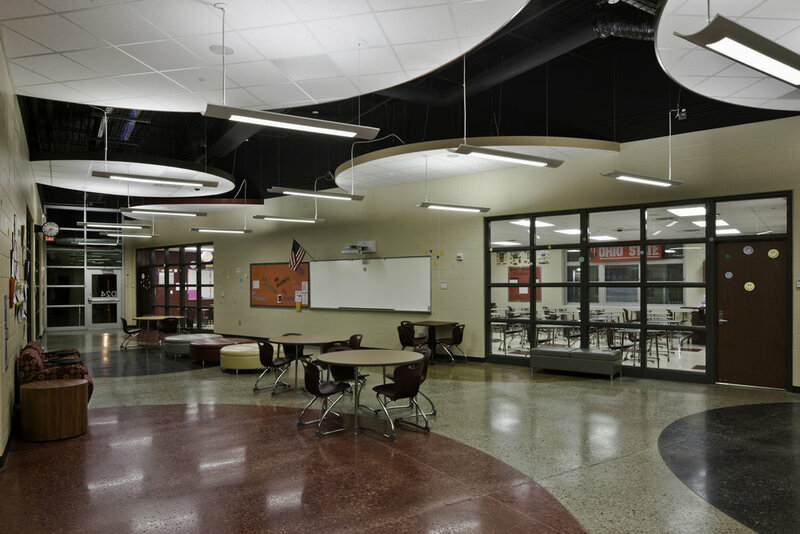 Separate gymnasiums and student dining areas for the primary and the secondary students are provided. The HS/MS dining area contains a performance stage. Angled classrooms in the academic wings allows for an extended teaching area directly outside the classrooms for individual or group activities. As a response to the constrained site, three different courtyards were created to provide natural daylight to interior spaces - doubling as unique outdoor learning spaces with teachings walls, gardens, and an amphitheater. The school also serves as a community center. 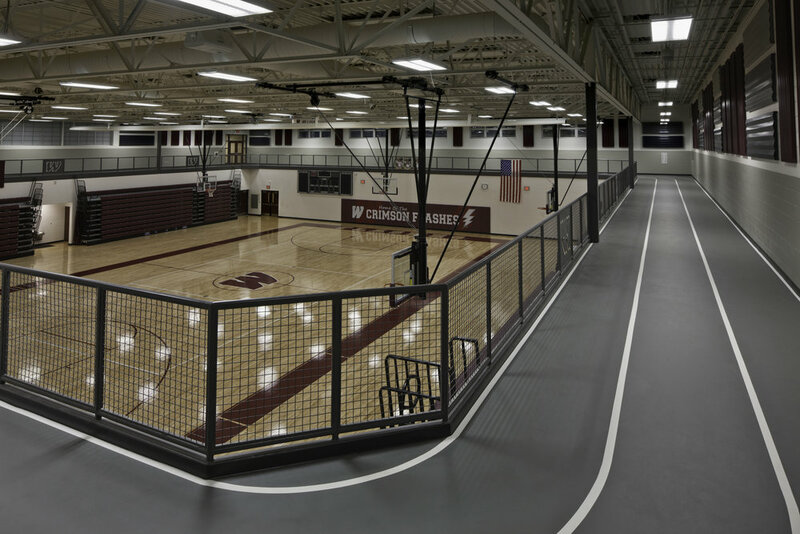 Areas such as the gymnasium, running/walking track, media center, and performing arts areas are available for community use during non-school hours.